Contact lenses despite its enormous popularity have always been met with its fair of skeptimism. People would rather prefer to stick with the conventional eyeglass over the more modernized version of visual aiding mechanism in the form of contact lenses. In fact, studies have proven that the number of people wearing eyeglasses has increased from 57% in 2001 to 61% in 2012. Also, the percentages of people using contact lens are much smaller compared to people using eyeglasses. Studies have proven that the percentages of people using contact lenses are a mere 12% in comparison to 57% of people wearing eyeglasses. The statistics say it all! 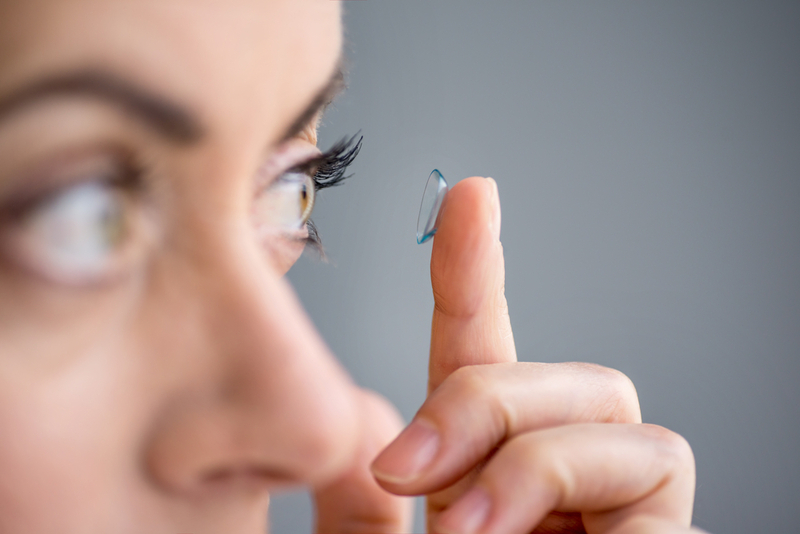 Despite the numerous benefits that contact lens have in comparison to the traditional eyeglasses, the majority of the people still remain skeptical of using contact lenses. So, why has the scepticism of contact lenses continued to stay relevant even after so many years of its existence and its positive contribution to the field of promoting visual aid? The primary reason seems to trace back to the way people use their personal contact lenses. Majority of the people wearing contact lens use them in such a way that ultimately compromises their eye health. Improper application of contact lenses can damage the cornea or even infect the microbes. Thus, the sole reason for the prevailing negative effects of wearing contact lenses arises due to the lack of proper knowledge about the proper usage of contact lenses. So, here are some of the healthy habits that can reduce the eye-damaging properties of contact lenses. As per the study conducted by The Centers for Disease Control and Prevention aka CDC, the majority of people wearing contact lenses (around 40%-90%) do not follow the standard preventive measures associated with eye contact lenses. This is the main reason why the rate of eye infection amongst the contact lens users has continued to grow significantly over the last decade. It is, therefore, of utmost importance to follow the standard contact lens instructions before your proceed to wear them on a regular basis. Since the lack of following proper instructions for using contact lens seems to be the root cause of all the emergence of contact lens infections; you can also use a contact lens on a temporary basis. If there are too much care and preventive measures involved, you can start slowly by using them only for some particular purposes. Once you get the hang of how to properly use them, you can then switch to a more regular usage duration. This can help you follow the standard preventive measures gradually. In general, keeping the contact lens safe from any kind of harmful eye infection ultimately depends on the person wearing it. Contact lenses can only do so much to perform what they have been originally designed for if you are not going to take the preventive measures seriously. Contact lenses if used correctly can have a remarkable impact on your eye vision. The same “remarkable impact” can mean an entirely adverse meaning if you do not take proper preventive measures while using them. Thus, the key factor in eliminating the skeptical nature of contact lens usage lies in following the standard preventive measures. It’s not rocket science! Contact lens possesses a multitude of benefits over its counterpart aka the eyeglass. However, the ultimate method of reaping all its visual benefits depends on your personal care and whether you are following your ophthalmologist’s proper recommendations. Buying contact lenses have never been so easier. You can find all the different types of eye contacts according to your convenience, instead of just sticking to the usual contact lens. As long as you remember to take the basic preventive measures, you can harness the full benefit of not having to wear external visual assistance aka glasses.